Uncertainty about the future of the Coliseum could have been avoided if the main players in Edmonton's new arena development had considered the realistic cost of demolishing the Oilers' old home. Uncertainty about the future of the Coliseum could have been avoided if the main players in Edmonton's new arena development had considered the realistic cost of demolishing the Oilers' former home. 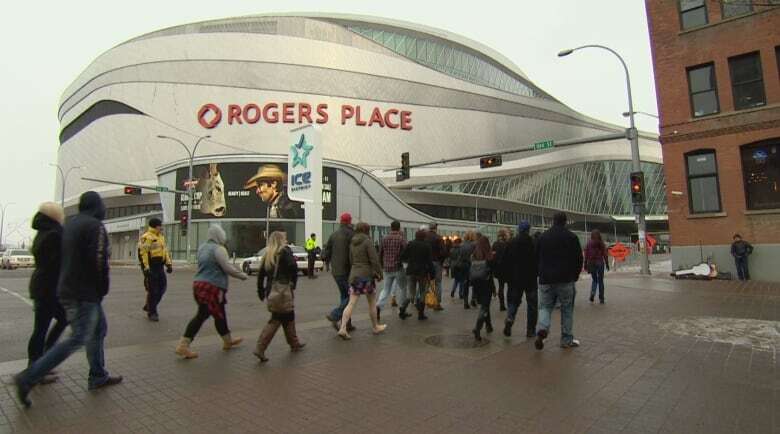 "It certainly should have been discussed as part of the [Rogers Place] build," said Moshe Lander, a professor at Concordia University in Montreal who specializes in the economics of sports. "Maybe there could have been a negotiation with the Oilers ownership ... that we'll give you $250 million, but we're going to claw back $20 million as part of your contribution to the decommissioning cost. "If that wasn't done, that was — take your pick — oversight or negligence." Lander's comments come as city council is set to discuss Wednesday the estimated cost of tearing down the once-storied home of the Edmonton Oilers. A report to council pegs the cost at between $15 million and $25 million. But city council hasn't yet agreed to tear down the Coliseum, which will be shuttered on Jan. 1. Some councillors have expressed hope the building will be saved and re-purposed. Mayor Don Iveson, however, is not convinced there are practical suggestions for how to re-imagine the arena's future. He noted the once-promising idea of converting the hockey arena into amateur sports space would cost more than building four new rinks from scratch. "Vacant sites and boarded up buildings are not in the community's interests," Iveson said Tuesday. "We'll take actions to remove buildings from the [Northlands] site, to prepare them for redevelopment, unless there's a compelling case for a re-purpose." The $15 million to $25 million price tag for demolition has shocked many, but Lander said that cost should have been expected. "The general perception of the public is that you just take some big wrecking ball through the middle of it and that's it," he said. "But that's not the way it's done. "It's a bit of a complicated process, it can be time-consuming if the building is old, and particularly if it's in a residential neighbourhood." The building must be stripped of anything that could cause environmental damage if released into the air — such as asbestos — while elements such as copper wiring will usually be saved for re-sale. Meanwhile, the closer a building is to a residential area or a rapid-transit line, the more consideration must be given to how its demolition will affect the daily lives and commutes of residents. "There is literally going to be blow-back," Lander said. "The amount of dust and dirt and gunk that hits the air — that's going to be a disruption to train service for days, you could have air quality index issues. You can't do it in the winter time. There's a lot there that can certainly make the cost accelerate quickly." Lander said it's not uncommon for cities in the midst of negotiations with sports teams to skip the cost of decommissioning an old stadium. "The team is just focused on, we just want a new stadium, and the city is just focused on not losing the team, which is exactly what happened in Edmonton," he said. Northlands is a non-profit organization that was previously responsible for the site that encompasses a horse-racing track, the Edmonton Expo Centre, the Coliseum, and grounds that hosted major events such as K-Days and Farmfair International. The organization is now charged with running K-Days and Farmfair International, as horse-racing is scheduled to wind down next year and the Expo Centre will be handed to an arms-length city organization to control. Tim Reid, president of Northlands, said he hopes the organization will continue to use parts of the Northlands site for decades to come. "Look at the CNE [Canadian National Exhibition] in Toronto. They continue to deliver their events at the CNE, 30 years after SkyDome [opened.] It's still an exhibition site, it's still a programming site." He noted the CNE has developed thousands of residential units on its land over the last several years.